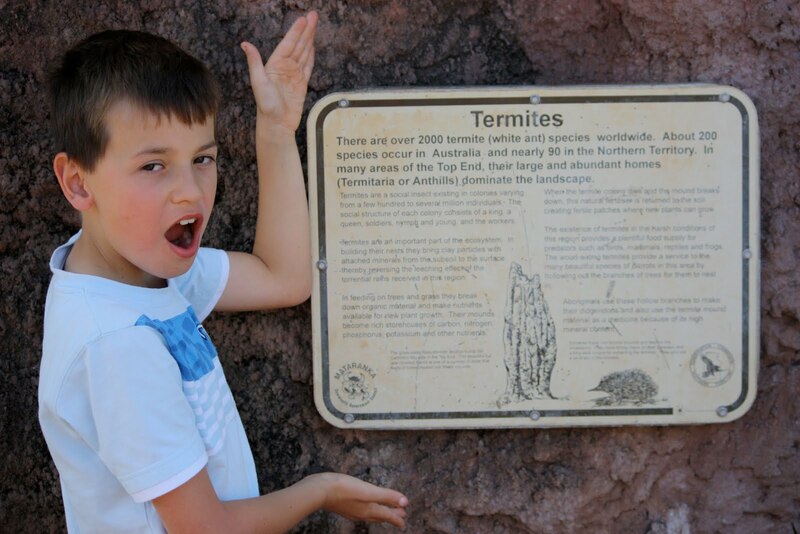 For anyone interested in details about termites .....here 'tis. 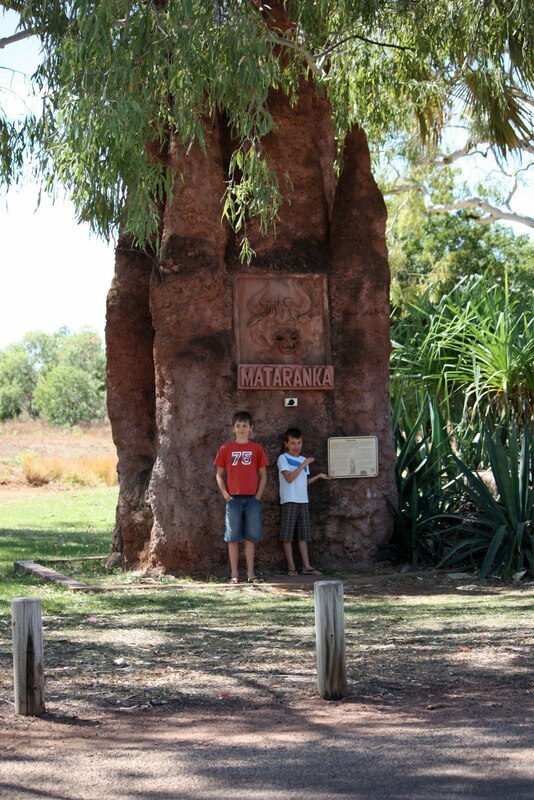 Joey and Sam pictured here at the biggest termite mound that I've seen!! These mounds are significantly bigger from Mataranka North to Darwin. 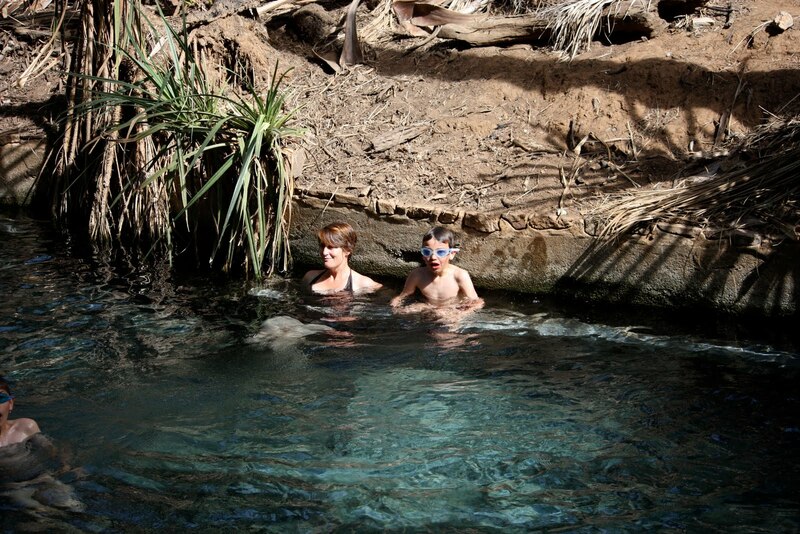 After a couple of overnighters we were well into the NT and stopped at Mataranka where there are hot springs that are popular with the travellers for a refreshing hot soak! We left Adel Grove and headed south to Camoweal which changed the original plan that was to cross the Savannah Way. This happened because some of the creeks north were around 800m-900m deep which is a bit high for our wee Nissan X-Trail and my inexperience at 4x4 driving!! 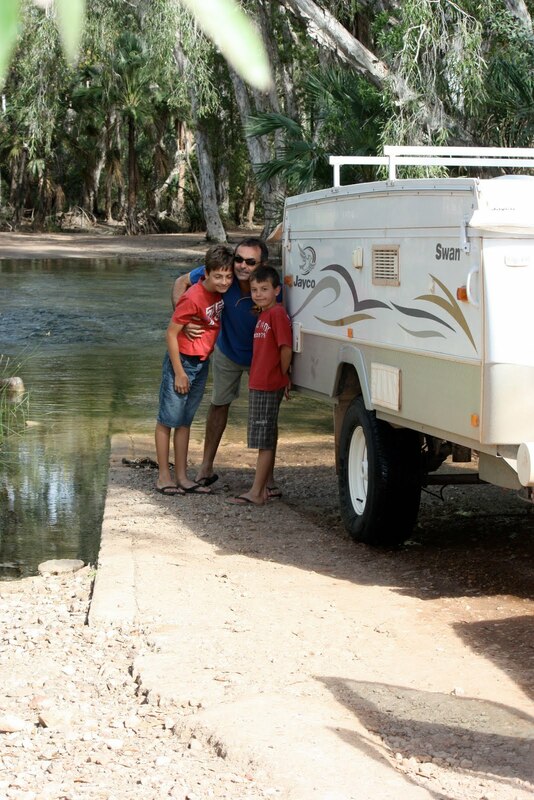 The picture shows us just having crossed the Gregory River which was around 250mm deep.